VANKLEEK HILL, ON – Beau’s All Natural Brewing has announced the annual return of a popular installment in the Wild Oats Series of experimental beers. Wag The Wolf Hopfenweisse was originally released in March 2013 in limited amounts, and has become an annual spring/summer tradition since then. 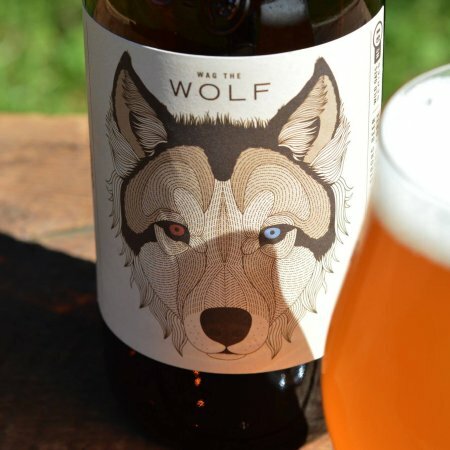 Wag the Wolf is fermented with a traditional hefeweizen yeast, and hopped with organic New Zealand hop varieties to provide abundant, juicy aromas of citrus and tropical fruit. Made with a blend of wheat and barley malts, it is generously late-addition-hopped – a brewing technique of adding hops at the end of the boil to benefit mainly from their aroma, with less overall bitterness resulting in the beer’s taste. Pale gold and hazy, there are notes of banana, clove, papaya, mango and citrus on the nose. The carbonation is lively and the beer is spicy and fruity, with restrained bitterness and a slightly dry finish. Wag The Wolf is available now at the Beau’s retail store and BYBO delivery service, LCBO locations across Ontario, and select beer retailers in Quebec.